You might be thinking, wait, first? I have to cleanse more than once? Frankly, yes. Yes you do. This is the concept of Double Cleansing, which you may or may not have heard of. Double cleansing is a way of cleansing your face twice to ensure that all dirt, oil, and makeup have been removed. It’s not just cleansing twice with the same cleanser, however. Your first cleanser need to be an oil cleanser. Why an oil? Face cleansing oils are made of the same stuff that bad oil, dirt, and makeup on your face are made of. As a result, the good oil can act like a magnet and pull our all of the grime on your face. You massage the oil with dry hands onto a dry face. This is critical. Why? If you try to massage the oil on a wet face, the water will repel the oil. It will slide right off, and it won’t cleanse your face. Applying the oil to a dry face allows maximum contact between the cleanser and makeup/sebum on your face. Massage into face. The usual recommended time is 30-60 seconds. Then add water. The oil cleanser will turn into a milk. Rinse several times until face feels free of any slippery oil. Note: You do not want to use any type of sponge or brush-cleansing device during the first cleanse. You will trap makeup and grime in the tool, which will lead to bacterial growth and could end up causing your skin more harm than good. If you like, you may use a clean washcloth to help remove the oil cleanser when washing it off. Just make sure you use a clean wash cloth every time. Now it’s time for the closer cleanse to remove all final bits of makeup, dirt, and bad oil residue. It also a good time to use a cleanser with treatment in it, such as one with acne or anti-aging ingredients. This is when you’re going to want to use your cleansing device of choice: washcloth, sponge, Clarisonic etc. This second cleanse not only rids your pores of anything leftover debris, but it allows the ingredients in your cleanser to get closer to your skin, like exfoliating acids. 2) WEEKLY – Exfoliate: At least once a week (or up to 3x) you should be performing this more intense exfoliation (more intense than whatever exfoliating ingredients might be contained in your skincare or as offered by your cleansing device). Now that your skin has been purified of foreign material, your chosen exfoliating formula can come in closer contact with your skin and work more effectively. 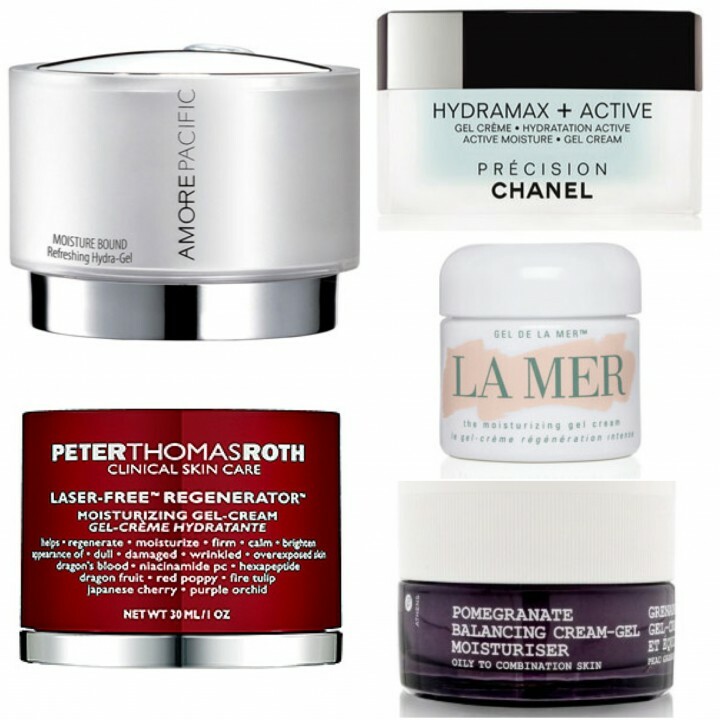 See my article for more on choosing the right exfoliator for your skin. 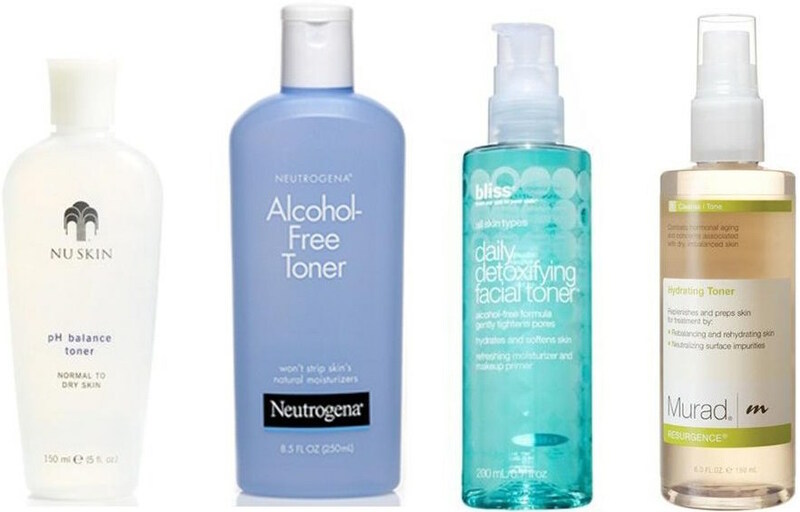 Toner is what most people think they don’t need. They couldn’t be more wrong. Toners aren’t all alcohol-filled astringents that dry out skin. Oh contraire. Toners are meant to wipe away any final remnants of makeup and oil, while also balancing skin and preparing it for further skincare products. While many toners come in spray-bottle form, the most effective forms should be applied by soaking a flat cotton pad in the formula and wiping it over your face. This provides a physical wiping motion that can remove more impurities left over on your face. Sprays aren’t as good at doing this. Note #1: Toners work best to remove facial residue when applied with a cotton pad and wiped on the face. If the toner you like only comes in a spray bottle, just be sure to spray it onto a cotton pad, not directly onto your face as the directions might instruct. Note #2: Do not allow toner to dry before moving on to your next step. Wet toner on the face actually allows your next skincare product to go on more evenly and penetrate more deeply. This is a new step introduced by our skincare-obsessed friends in Korea. Is it a required step? I can’t quite say (although I’m leaning towards no). Could it hurt? Aside from your wallet, no. Essence is like a more liquid-y form of serum. If delivers even more potent ingredients than a serum. Be sure to pat, not rub, the essence into your skin. Apply an eye serum using your ring finger (which applies to least pressure) and pat it along your eye, above and below. Be sure not to tug or pull the delicate skin. Make sure you’ve allowed your essence a few minutes to absorb. If you have not used an essence, make sure you’re applying your serum immediately after applying toner (tone should still be wet on your face). 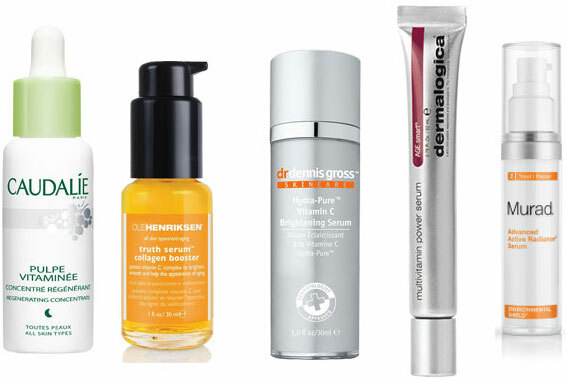 Sometimes called an ampoule (again, from Korea), this is the time to put on your serum. Serums will reinforce the ingredients of your essence, plus also introduce other ingredients to broaden the scope of concerns you’re treating (age, acne, brightening etc.). Allow several minutes for it to absorb. Note: Not allowing sufficient time for the different layers to absorb will often results in pilling of the formula, as it was not allowed time to penetrate properly. If you wanted to apply a sheet mask (these can be performed 1x a week, to every day if you really wanted to). Sheet masks are essentially cloth masks drenched in potent serum. They are meant to sit on the face for around 10-20 minutes. If you want to indulge in one of these deep treatments, this is when you’d do it. Now that your eye serum has had a few minutes to absorb, gently pat eye cream above and below you eye using your ring finger again. Once your serum has had several minutes to penetrate, now apply your moisturizer. Sleeping mask (nightly or a few times a week). This is essentially just a super intense face moisturizer. It usually leaves a shiny finish and too heavy to apply makeup over, which is why it’s restricted for night use only. Note: Don’t forget your neck and décolleté. This skin is even thinner than the skin on your face, and it sees all the sun and environmental damage that your face does and is often more susceptible. Make sure to treat it just like your face, from cleansing to moisturizing. Don’t forget sunscreen too!